Join Pr. Stacey and her friend, Paul Whiting (videographer), for a monthly documentary and conversation about his travels to Mexico. We’ll start September 15th and meet every 3rd Thursday of the month from 6-7:30 p.m. At each gathering Pr. Stacey will also present basic tools for learning the Spanish language. Practice assignments and vocabulary will be sent home with participants. This is an adult gathering centered around food, fellowship, and Scripture study (a babysitter will be provided for parents with kiddos). Join us the 1st Sunday of every month from 6-8pm. Locations vary based on those willing to host. Let us know if you're interested! This group meets monthly to plan for ways we at FELC can organize and energize our hands and feet for service. We also help drive the mission and vision of FELC. We meet every 2nd Tuesday of the month at 6:00 p.m. (all ages are welcome). This is an interfaith cohort of local service providers, clergy, and community members whose mission is “to empower people of faith to create positive, systemic change in our community.” They meet every 1st Wednesday of the month from 11:30-1. Locations vary. Learn more by clicking here. For children ages 4-11. Bring your kiddos on Wednesday nights from 5-6:30pm for an evening of fun games, crafts, and music centered around stories from the Bible. A meal is provided starting at 6pm. Parents are welcome to eat too! For youth ages 14-18. We also host youth group for senior high youth every Wednesday night from 6:30-7:30pm. During this hour together we have lots of fun, swap stories, and talk about God's presence and purpose for our lives! Come early (around 6pm) to eat dinner! ​For youth ages 12-14 (7th and 8th grade). This year we are excited to be teaming up with First Church Congregational for Confirmation! Those wishing to do a more extensive study on God’s Word can sign up for our 2 year Confirmation Curriculum. Study guides are provided throughout the school year, to be completed at a student's own pace. Pr. Stacey will set up 2 personal meeting times with students both years (fall and spring) to converse about each student’s understanding of the materials provided. Students will also be guided by a selected mentor from the congregation. Finally, confirmation students will be required to attend three retreats each year in the fall, winter, and spring. Sunday School takes place every Sunday during worship. 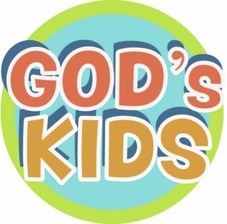 Parents are encouraged to sign up to teach an interactive Bible Story. Little preparation is needed to help lead each story!